This MRI Sound System offers the dual-headset capability of the Full Sound System with a cost-effectiveness basis. This sound system is equipped for both patient and operator comfort, the Mini Sound System provides everything you need to relax your patients music during their MRI Scan and with Dual Active Headsets both the patient and their companion, spouse and Parent can wear headsets listening to the same source, allowing for encouragement and assistance when listening to the technologists instructions. 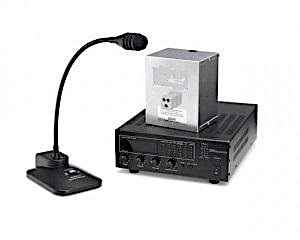 A stereo is not included but can be added since this system has Line Out capability. LIFETIME warranty on transducer and Three-year warranty on all other parts. Only MR Sound System that Allows Patient & Companion, Spouse or Parent to listen to the same source allowing for encouragement and assistance when listening to the technologists instructions.